Butterflied fish on the grill. 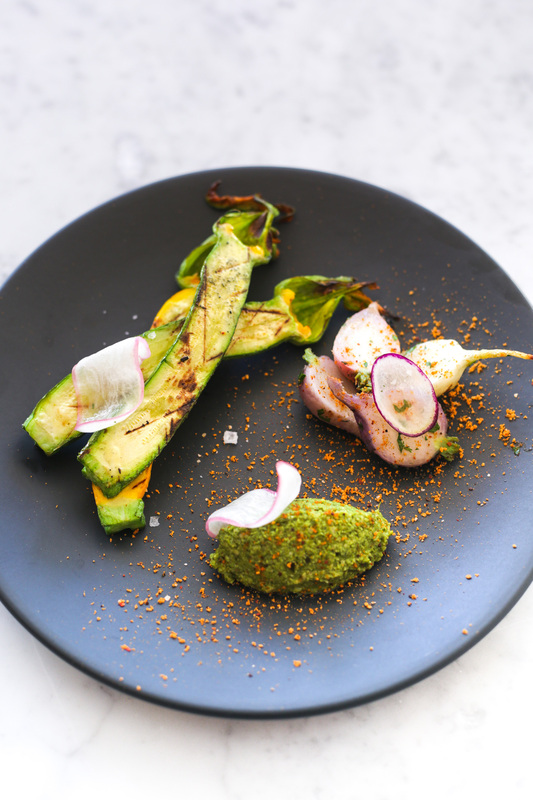 Seasonal veggies with sikil pak verde. 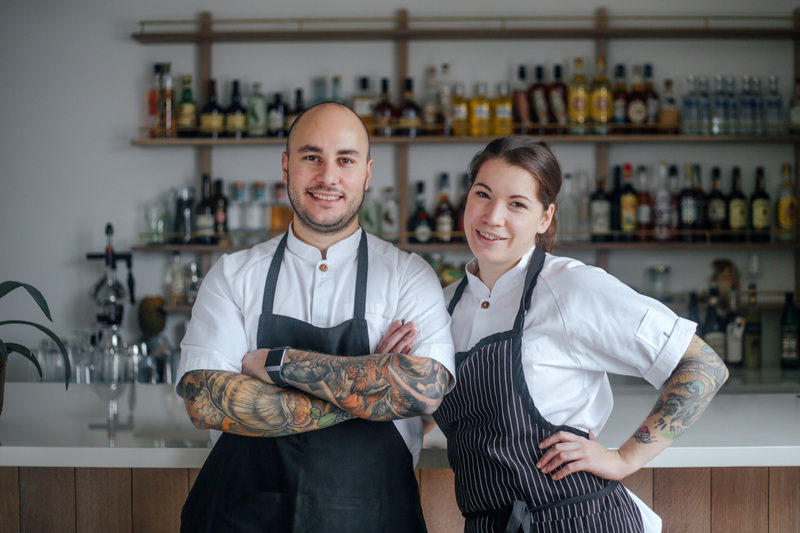 Co-owners and co-executive chefs Julio Guajardo, left, and Kate Chomyshyn, right. 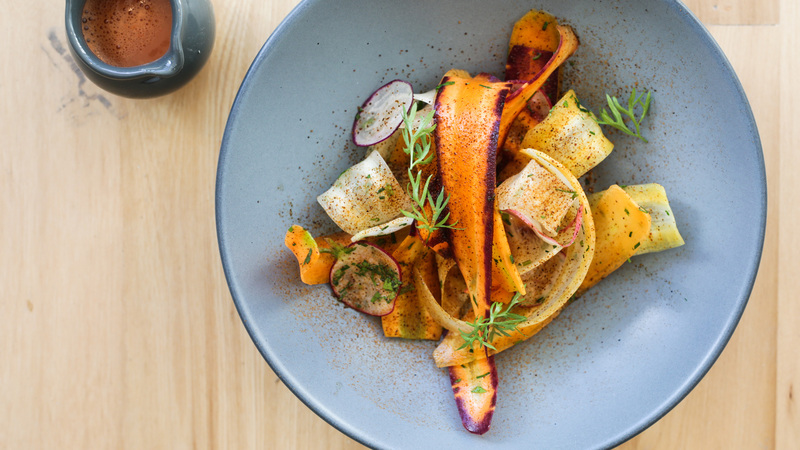 A bright carrot “ceviche” sprinkled with a house-made sal de gusano, or worm salt. 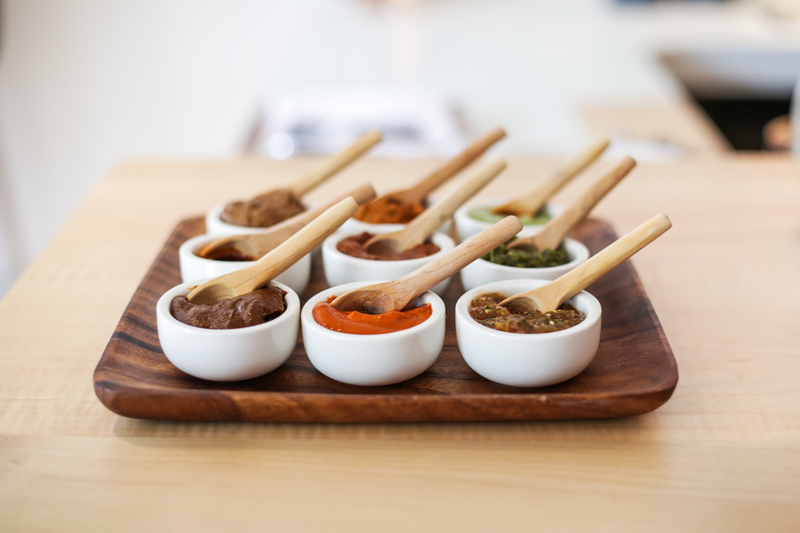 Wood-fired corn masa, nine distinctive salsas including a chicatana-based sauce, and grilled meats and fish served with handmade tortillas. 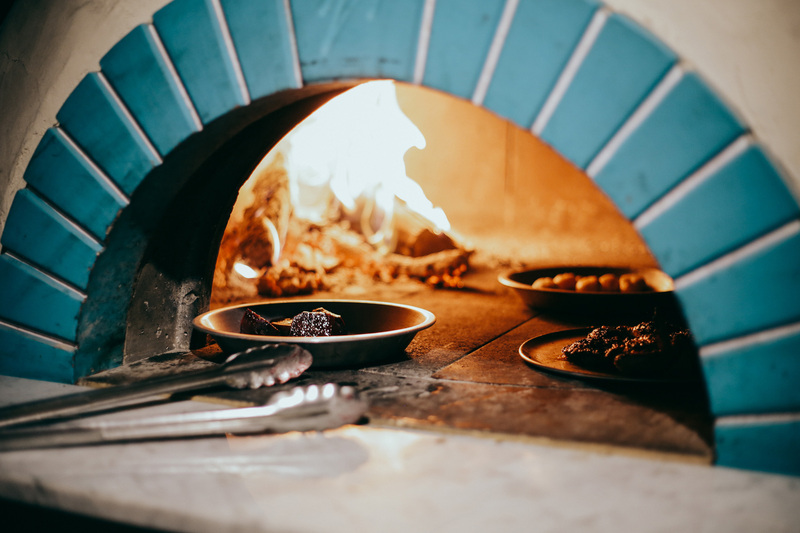 These are just some of the delights on the menu at Quetzal, the latest culinary venture from chef Grant van Gameren—of Bar Raval, Bar Isabel, and a host of other popular boîtes and restaurants in Toronto—with partners Kate Chomyshyn, Julio Guajardo, and Owen Walker. 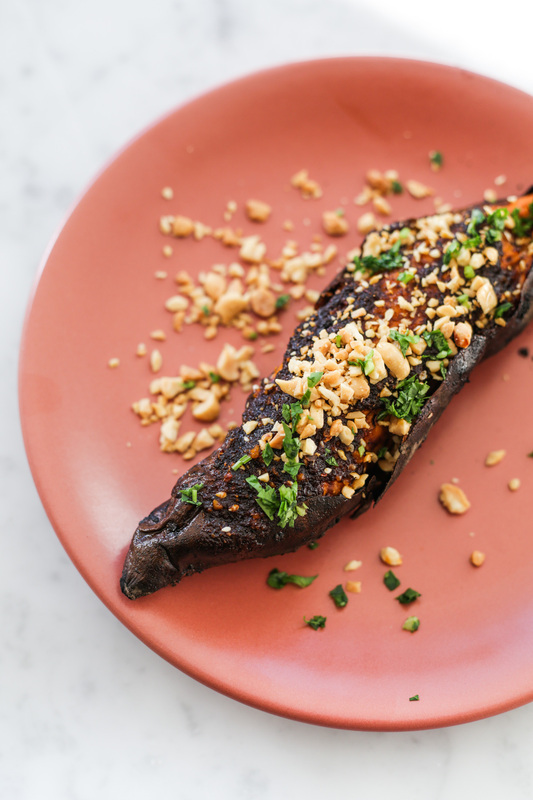 The four co-owners have worked together on the Mexican-focused van Gameren eateries including Rosalinda, a vegan restaurant, and El Rey Mezcal Bar. For Quetzal, co-executive chefs Chomyshyn and Guajardo travelled extensively through Mexico for research and inspiration. 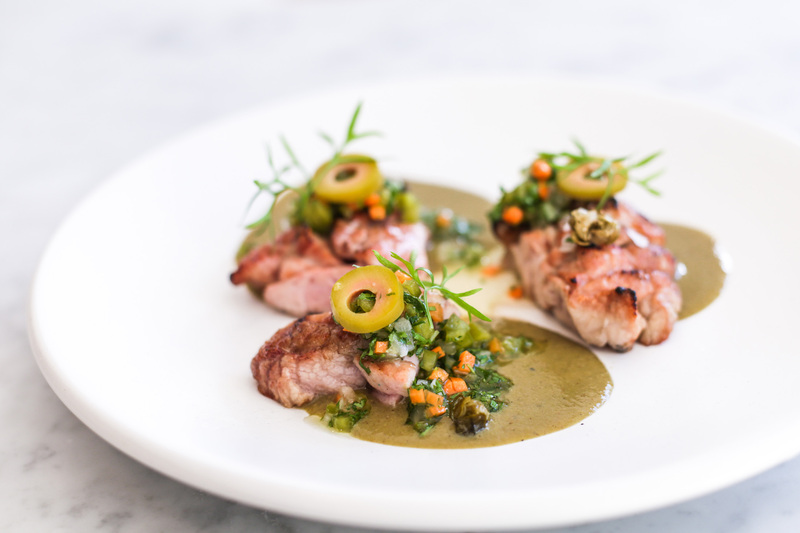 This dedicated preparation is reflected in the menu, which features traditional dishes and flavours from the country’s Baja, Oaxaca, Tabasco, Puebla, and Yucatan regions, executed with Canadian ingredients such as Nova Scotia tuna and British Columbia Pacific Humpback shrimp. 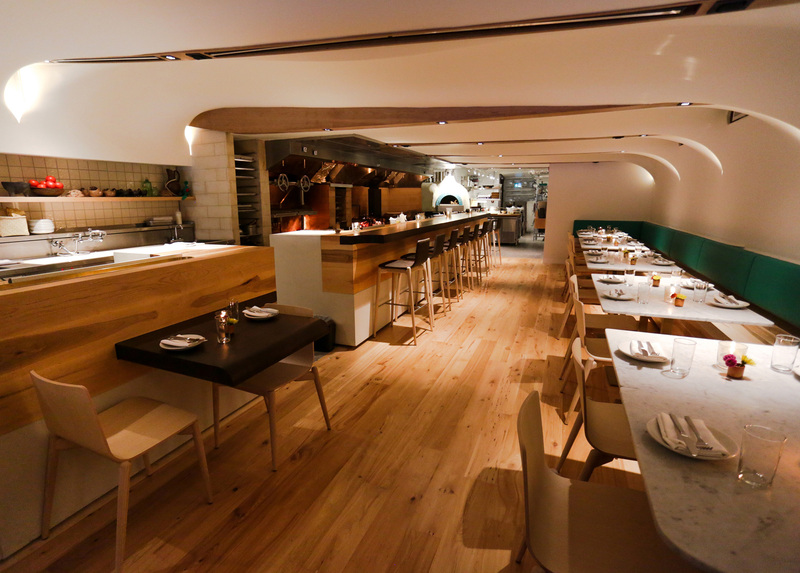 Opened earlier this month after a lengthy construction delay, the much-anticipated 72-seat restaurant near the city’s Kensington Market neighbourhood features a 26-foot-long open-flame cooking area that is undoubtedly the focal point of the restaurant. 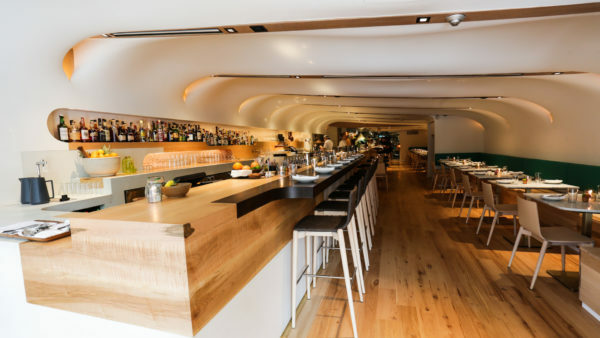 With plenty of wood accents and a curved white ceiling, the space has an inviting, rustic-meets-chic aesthetic designed by Partisans, the architecture firm behind the stunning Bar Raval space a few blocks away. An inviting interior designed by Partisans. 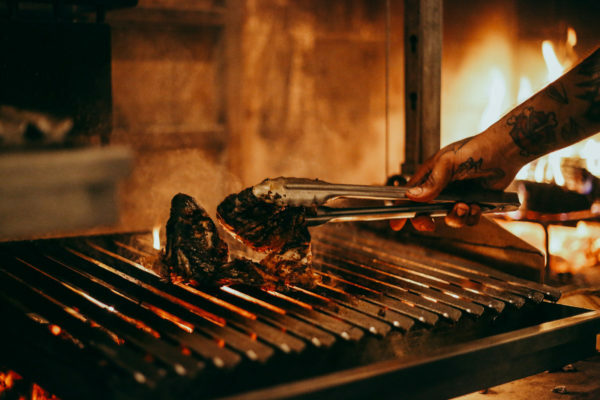 Most of the menu—from the juicy Barbacoa-style lamb to the grilled king oyster and maitake mushroom side dish—is prepared in the open kitchen, on the restaurant’s impressive custom wood-fired grills. 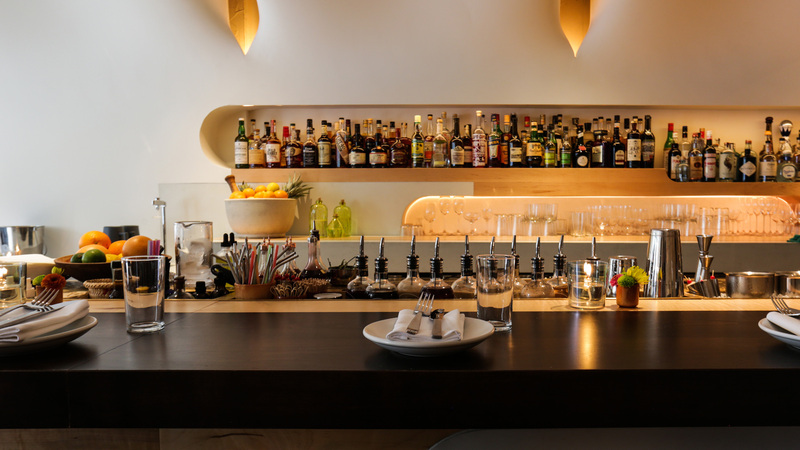 There’s also a lively raw bar, serving everything from half-shell oysters and seafood platters to shrimp aguachile ceviche and refreshing fish tiraditos. The desserts, too, are a delight—think nieve oaxaquena sorbet paired with Ontario corn ice-cream, blueberries, and popcorn. 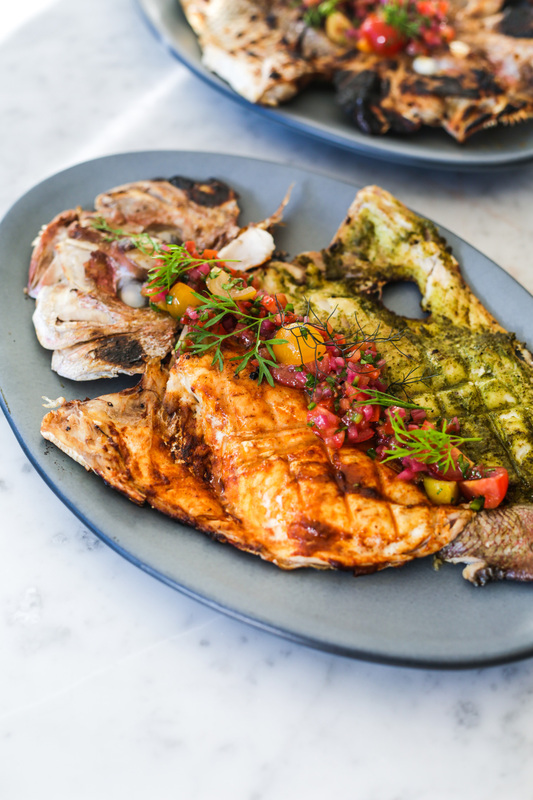 Guajardo and Chomyshyn’s ambitious, considered take on Mexican cuisine and open-fire cooking is not to be missed; without being loud or ostentatious, Quetzal’s best dishes are deeply flavourful, faithful to their roots, and yet always served with a Canadian twist. Quetzal, 419 College St, Toronto.